Ballet is a foundational technique that teaches the basics of all classical forms of dance. At Hosanna Dance, we mostly follow the Vaganova syllabus, which focuses on both the lyricism and athleticism of ballet and is designed to involve the whole body in every movement. We also pull from other methods to offer the best of each traditional school. Because ballet training benefits all other forms of dance, we offer ballet from the earliest Creative Dance classes and continue through Advanced Pointe. 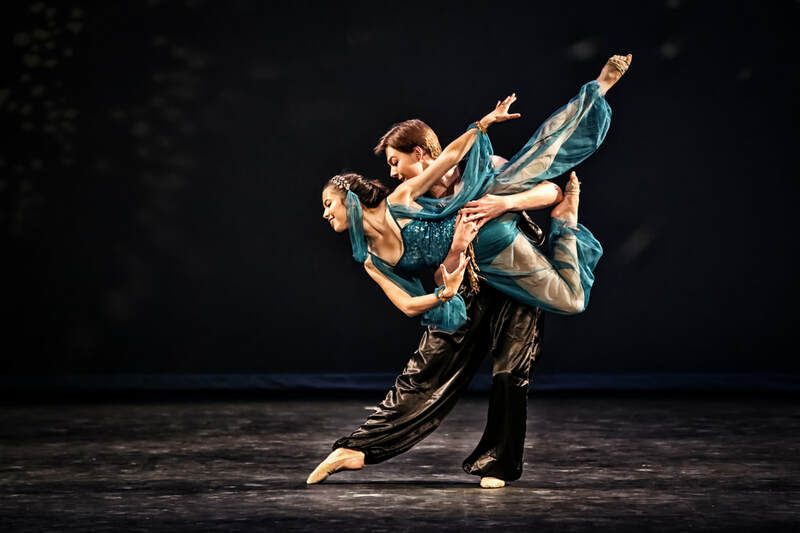 Modern is a classical form of dance in the same vein as ballet, but it explores a more organic type of movement. Our modern style is less experimental, with more emphasis on classical positions, a return to anatomy and the way bones and muscles work together, and using the internal frame in external expression. Modern dance benefits dancers by strengthening different muscles, improving flexibility, and enhancing movement quality. Our Jazz program covers a wide variety of jazz styles from percussive to lyrical. 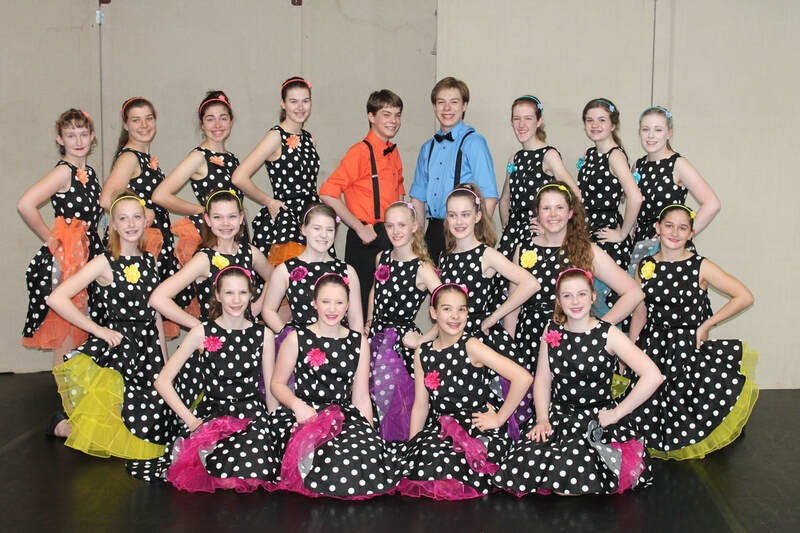 Jazz dance is an opportunity for students to learn to dance dynamically and to learn to reach and extend through their whole bodies while also using proper technique. 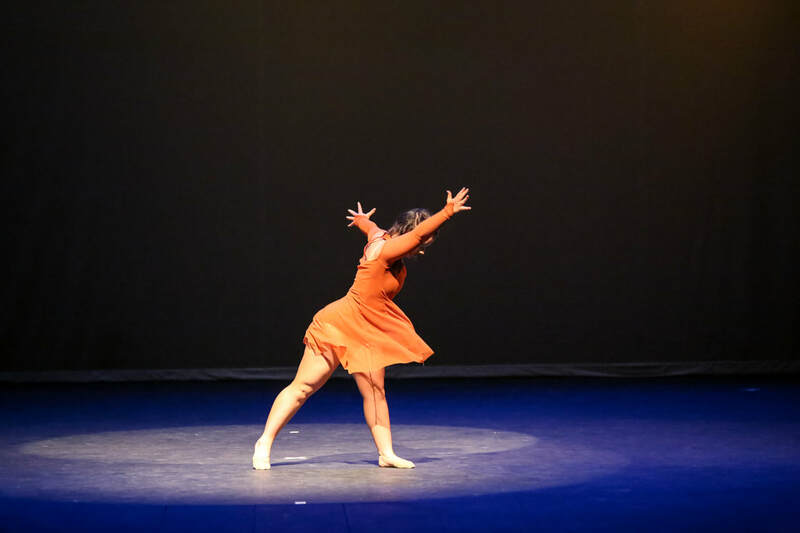 It is sometimes thought of as a more emotionally expressive form of dance, in which popular music and storytelling merge to inspire the movement. 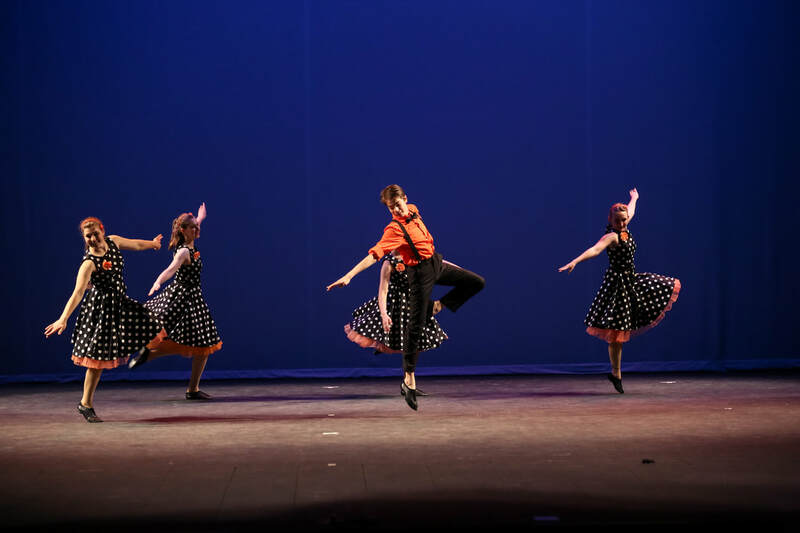 Jazz classes give students the opportunity to develop their skills in a wide range of turns, jumps, leaps, and other classical jazz steps while also improving their flexibility and musicality. Lyrical is a form of Jazz dance that is smoother and that focuses very specifically on interpreting the lyrics of the music. 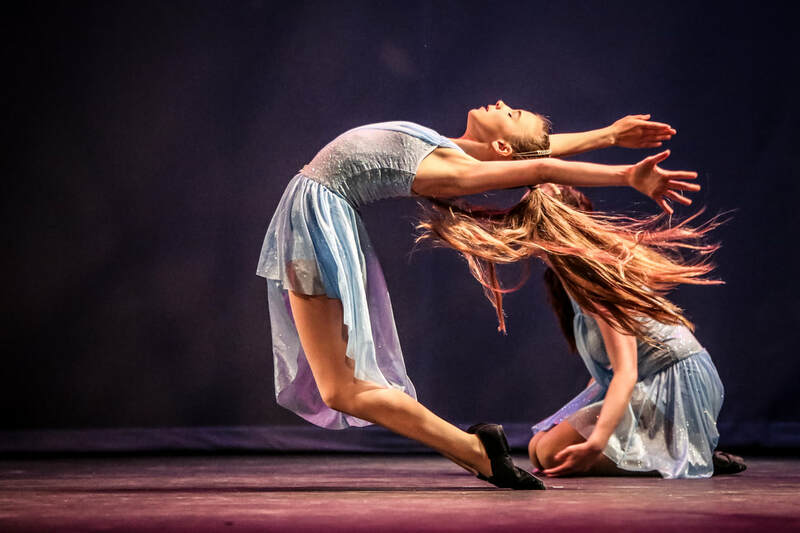 A combination of Ballet, Jazz, and Modern, Lyrical is a very passionate and emotional form of dance, using the body to express the full range of human emotion. It focuses more on being expressive than being precise in movements. Our Lyrical program is an extension of our Jazz classes. Tap is a fun and fast style of dance that improves a dancer's skills in rhythm, coordination, speed, control, and musicality. 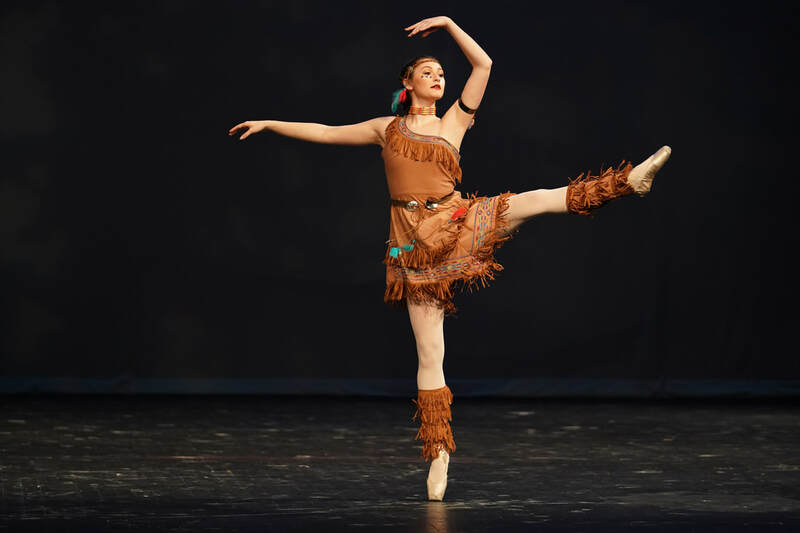 While we mainly focus on classical and Broadway tap technique, our dancers are introduced to both historical influences and popular trends in tap. 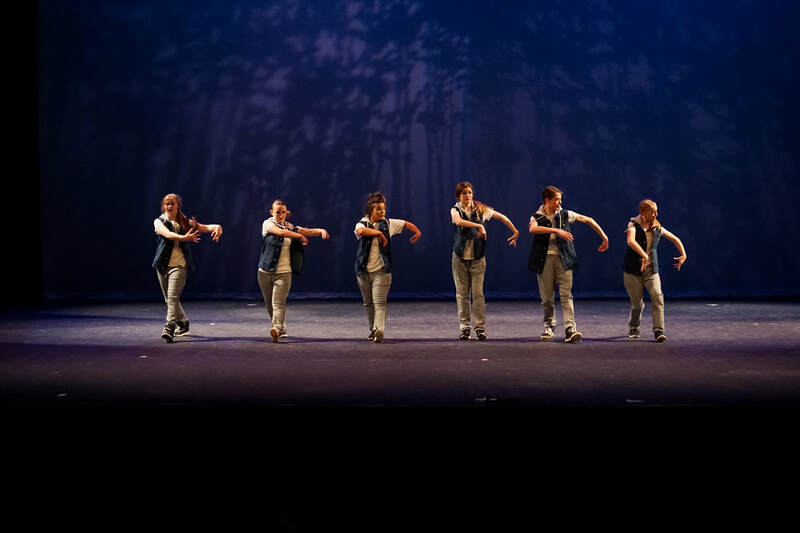 Many of our Creative Dance classes include an introduction to tap because tap dancing builds fundamental skills in balance, coordination, and counting music. Hip Hop is an urban dance style that is high energy and fun! A contemporary, evolving genre with an attitude, hip hop is very athletic and one of the few dance styles practiced both in professional dance studios and on the street. Upbeat music and high intensity dance moves create a lively atmosphere and an intense cardio workout, and our dancers learn age-appropriate movement that fuses various sub-styles of hip hop. Our tumbling program focuses on skills that can be incorporated into dance—such as back walkovers, handsprings, aerials, and more. Tumbling is offered in combo classes in Creative Dance (ages 3-5) or in Hip Hop/Tumbling (beginning at age 6). 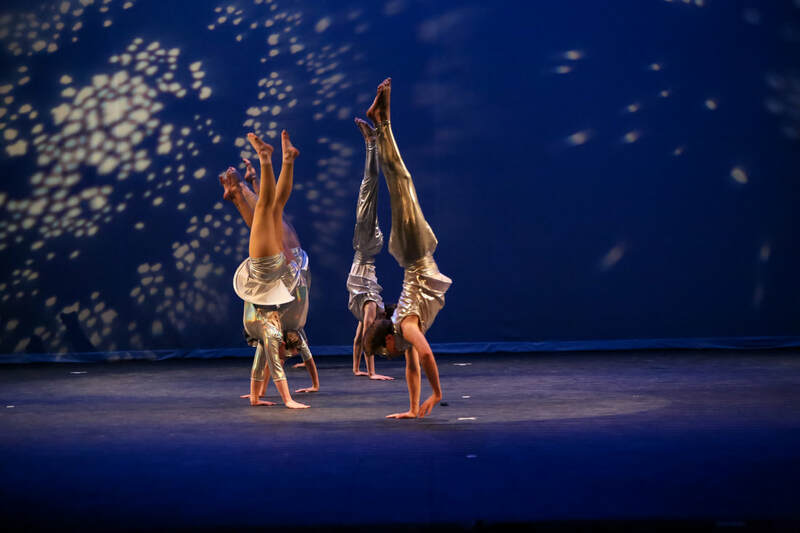 Dancers age 9 and up can enroll in dedicated tumbling classes that prepare them for the upper levels of tumbling as dance: AcroJazz, where Acrobatics meets Jazz dance. Our trained, professional staff gives tumblers the knowledge, strength, and safe environment to explore their inner acrobat. 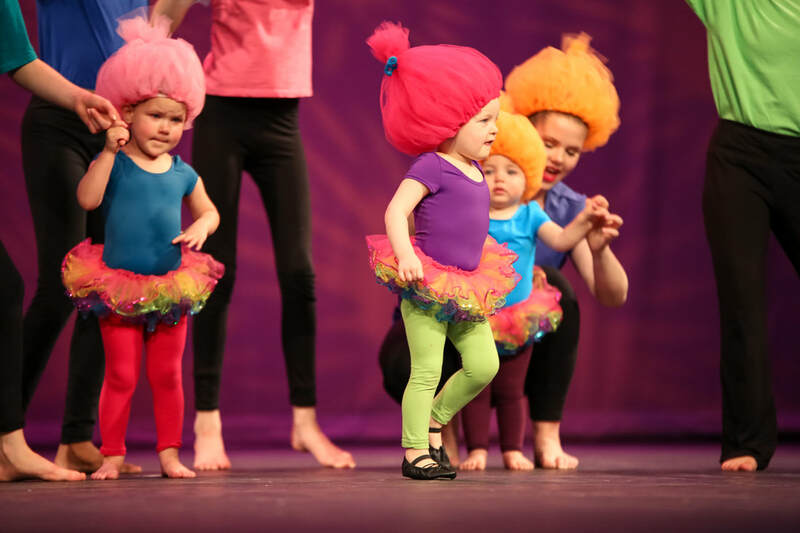 Our Creative Dance classes are geared for dancers ages 3 – 5 and are fashioned to introduce young students to a variety of dance styles and to have fun! 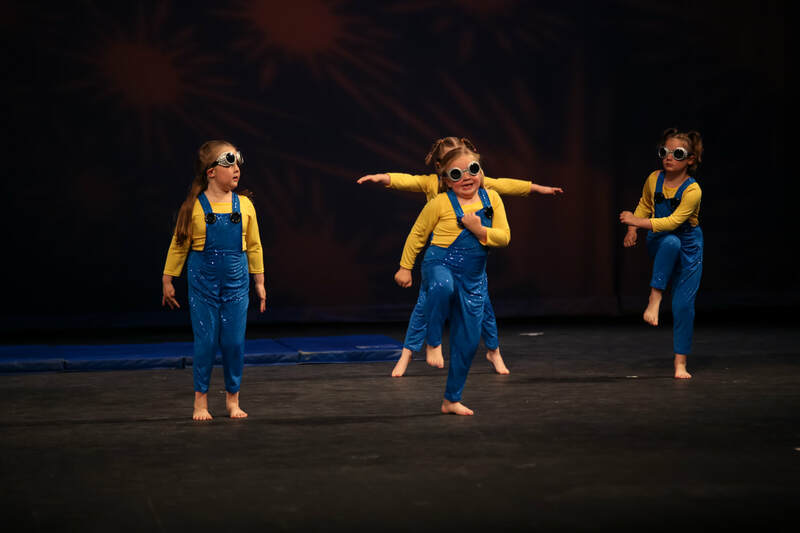 Each Creative Dance class is focused on a combination of techniques designed to teach basic skills across multiple disciplines and give kids an opportunity to explore a variety of movement styles. A particularly popular combination class we have offered is Ballet-Tap-Tumbling. Our experienced staff excels at teaching these beginning skills in a way that is fun and effective—and meant to build a lifelong love of dance! My Buddy & Me is a class for walking toddlers, ages 18 months up to young 3 year olds. Dancers are partnered with an older "Buddy" who guides them through movement and rhythm activities, games, and dancing. A fun and gentle intro to dancing, with a new friend to boot! Our Buddy & Me classes are scheduled in 8-week sessions and have no registration fees. Little dancers who participate in the Spring 2016 session will have an opportunity to perform in the annual Hosanna Dance recital in May. 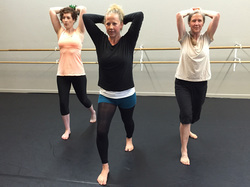 Dance for fitness is a multi-sensory experience that is not just about getting fit, but also about educating your muscles and keeping your mind active through many different styles of dance. Benefits of dance fitness include strengthened posture, balance, and bones; increased muscle tone and control; improved rhythm and musicality; increased energy; enhanced moods; and the opportunity to explore artistic expression in a safe, friendly environment. Our HD Fit classes are scheduled in three-month blocks and have no registration fees. No dance experience necessary! Our drama program began in 2008 with the addition of mime classes and has transitioned to acting classes with the goal of training dancers to be more confident and expressive on stage, as well as teaching them the art of storytelling—which is an important part of dance. The drama classes perform in the Spring recital as well as acting in scenes for our Summer performance. 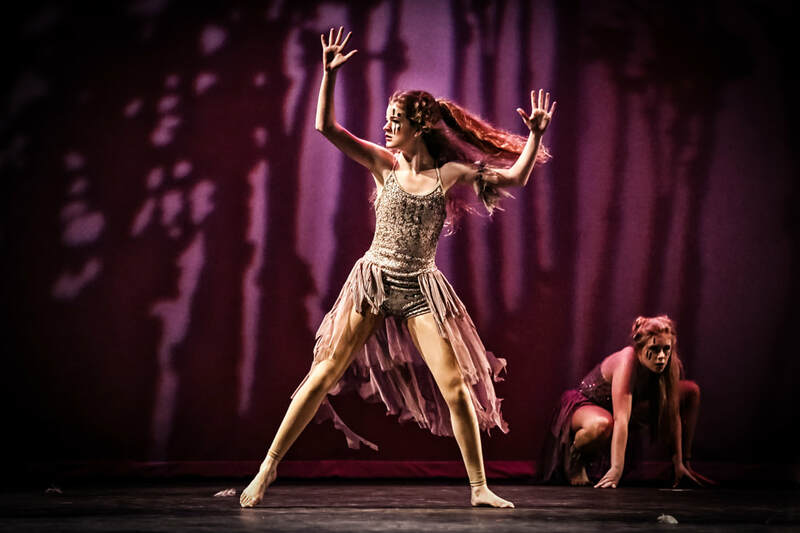 Our choreography class is for dancers Level III and above and specifically designed to train dancers in preparing their Senior Spotlight performance—a self-choreographed solo performed in the Spring recital. Dancers learn the elements of choreography, pacing, music selection, storytelling, and highlighting their personal strengths. This class is required for any senior who wishes to perform a Senior Spotlight performance. The Hosanna Youth Performers (HYPe) is a performance company that ministers the love of God to the community through dance, while encouraging members of the troupe in their spiritual development. This is an audition only group for dancers Level II and above. Auditions are held in June of each year.